Shire Plc has rejected a takeover bid of 27.3 million pounds or $46.5 million from AbbVie Inc as too low. This is the most recent attempt by a healthcare company from the U.S. to lower its corporate taxes by relocating to the United Kingdom. The offer, which was approximately 46.10 pounds per share, undervalues the company said Shire in an official statement. 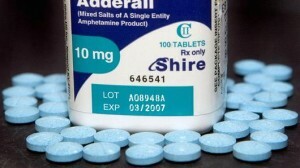 Shire shares surged up over 16% in trading, but the board at the drug maker unanimously rejected AbbVie’s bid. At this time, there are no ongoing talks and there is no certainty any further would take place, said AbbVie in a statement late Thursday. The AbbVie proposal represented a 23% premium over the closing price of Shire on Thursday. Deals that cross borders are increasing as the largest companies in the U.S. look to lower taxes and to spend large sums of cash that has accumulated overseas that is estimated at $2 trillion. Pfizer Inc. was rejected earlier this year in a bid of $118 billion to acquire AstraZeneca, while Medtronic this week agreed to purchase Covidien Plc in a deal worth $42.8 billion. The bid by AbbVie is the first admission publically of any interest in taking over Shire, which offers drugs for attention deficit disorders and rare diseases. AbbVie had proposed the establishment of a holding company that would be UK tax domiciled with shares that traded in the financial market in the U.S., said Shire. Shire is Dublin, Ireland based and has its executive headquarters in Basingstoke, England. Flemming Ornskov, Shire’s CEO, has his office in Lexington, Massachusetts. Shire said that AbbVie’s plan of relocating its tax domicile from the U.S. to Europe, raised concerns about if the company would be able to finish a deal. Shire was up 11% in mid morning trading in London to 41.32 pounds. The offer buy AbbVie was 20.43 pounds in cash as well as 0.798 of AbbVie stock for each share of Shire. One analyst in London said the proposal and subsequent rejection could prompt other companies to attempt to take over Shire.